Fa la la la la… la la.. la la! 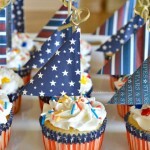 I’m so excited that it’s time to start planning holiday parties and gatherings! Holiday baking is one of my most favorite things ever to do, so I will definitely be serving up some decadent sweet treats to my guests. One of this holiday season’s favorites is this festive Christmas Candy Cheesecake recipe that I am sharing today. 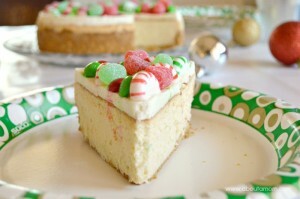 It’s an incredibly delicious peppermint cheesecake topped with colorful Christmas candies. What more could you want? I love that this holiday cheesecake is not only tasty, but also very pleasing to the eyes. I took my favorite cheesecake recipe and added a little zip with some peppermint extract and crushed peppermint candies. I added a sweetened sour cream topping, and garnished with a combination of red and green peppermints, Holiday M&M’s, and red and green gumdrops. Place an ungreased 9-inch springform pan on a double thickness of heavy-duty foil (about 18 in. square). Securely wrap foil around pan. In a small bowl combine the graham crackers crumbs with the melted butter. Press the mixture evenly over bottom of pan and about 1 inch up the sides of the pan. Place on a baking sheet. Bake at 350° for 5 minutes. Cool on a wire rack. Reduce the heat to 325°. In a large bowl, beat the cream cheese, sugar, vanilla, and peppermint until smooth. Add eggs and beat on low speed just until combined. Fold in crushed peppermint candies. Pour into crust. Place in a larger baking pan. Add 1 inch of hot water to larger pan. Bake at 325° for 1-1/2 hours or until center is just set and top appears dull. In a small bowl, combine sour cream and sugar until smooth. Spoon over hot cheesecake and spread to cover. Bake for 5 minutes longer or until topping is just set. Remove springform pan from water bath. Cool cheesecake on a wire rack for 10 minutes. Carefully run a knife around edge of pan to loosen. Cool for 1 hour longer. Refrigerate overnight. Remove sides of can. Garnish with holiday candies. Place an ungreased 9-inch springform pan on a double thickness of heavy-duty foil (about 18 in. square). Securely wrap foil around pan. Preheat oven to 350°. Reduce the heat to 325°. In a large bowl, beat the cream cheese, sugar, vanilla, and peppermint until smooth. Add eggs and beat on low speed just until combined. Fold in crushed peppermint candies. Pour into crust. Place in a larger baking pan. Add 1 inch of hot water to larger pan. Bake at 325° for 1-1/2 hours or until center is just set and top appears dull. « Razor A Kick Scooter is the Hottest Ride this Season! Bright idea! I’ve tasted many cheesecake combos but never a peppermint cheesecake. 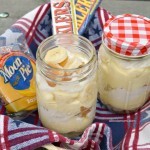 Love the idea – may be trying it for the next cheesecake! Cheesecake is my favorite. I have tried so many flavors over the years but I have never seen a Christmas variety like this. NomNom! I love cheesecake and this is a super festive way to decorate it for christmas!! This cheesecake looks decadent. My diabetes would have heck to pay. This looks like it would be so fun to make! It looks delicious and I love looking at it. It does look very festive. I think my boys would go crazy for this. Sounds like a yummy cheesecake. I love how you decorated it – so festive for the holiday! Yum! That is one yummy looking cake. It’s so festive and perfect for the holidays and for holiday parties. Wow what an incredible treat this would be! Perfect for the holidays especially for guests! Love this! This looks absolutely adorable! I love the contrasts between the striped and solid candies. I have never tried a peppermint cheesecake before! I actually just bought my favorite Triple Chocolate Mousse Cheesecake tonight from Juniors! I finally had my snack before surfing, thanks goodness or this would have made me have a midnight snack attack for sure! Whoa! 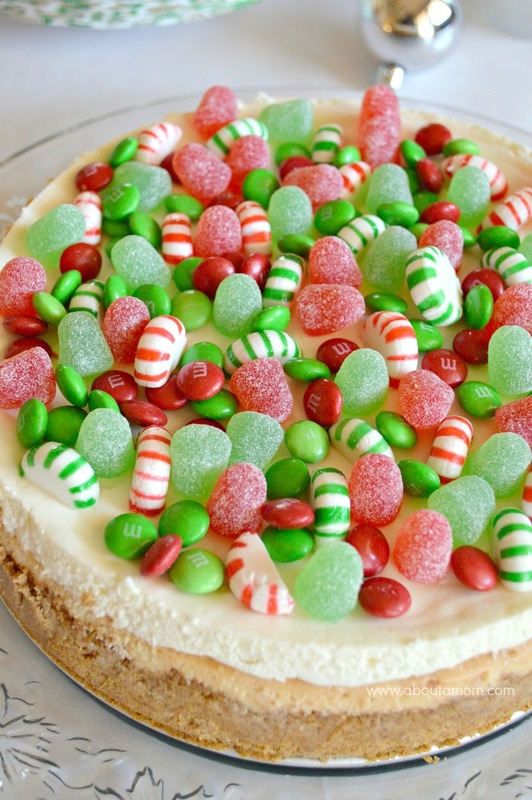 This candy cheesecake looks so festive and delicious! You had me at candy. I can’t wait to make this. It looks like a sugar coma waiting to happen, and I’m digging it! 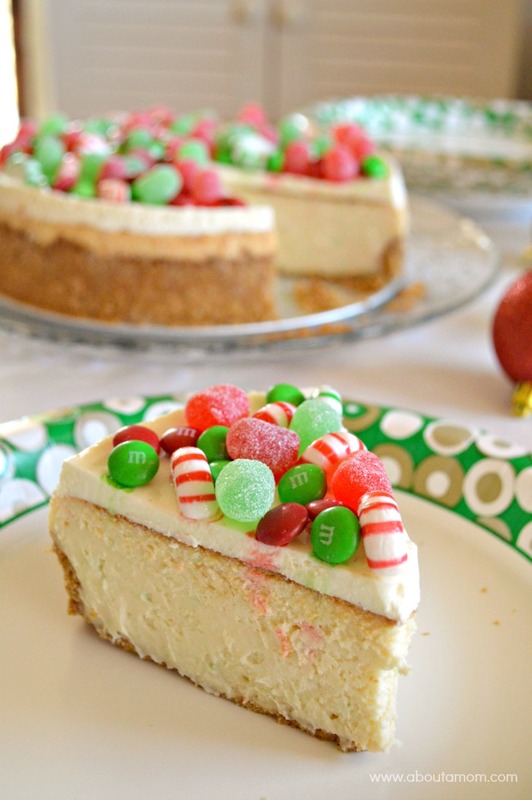 I really need to make one of these Christmas candy cheesecakes. Yours looks so delicious and is making me hungry la la.. la la! I love cheesecake but have never tried cheesecake flavored. No I’m craving cheesecake. Oh wow – why have I never thought of this! This is awesome!! I’m totally trying that this season! Ooh I love cheesecake! Love that you added a little extra flare! That is one pretty cheesecake. I love how the candy makes it pop. Looks so yummy! I love cheesecake! Wow my kids would flip for that! LOL Its a great idea to make a cheesecake more Christmasy! This cheesecake sounds amazing, this is something I’d love to try! I love this cheesecake recipe, it sounds so good! YUMMM Cheese cake is one of my all time favorite things to eat. This looks so festive and fun. Love it. This would be a great dessert for our family Christmas party indeed. The whole family love cheese cake. Thanks for sharing. This looks like such a delicious cheese cake. I will have to make this recipe for the Holidays. What a beautiful, Festive and delicious Christmas Candy Cheesecake. Thank you so much for sharing with Foodie Friends Friday this week. Pinning/sharing this weekend. This looks so tasty! Those plates are adorable too. I love cheesecake! This looks so cute and festive! Well how beautiful is this??? What a fab-tastick idea for a holiday cheesecake. I’m definitely going to try your idea! This looks so delicious! I love the festive colour on the toppings, such a fab idea for a Christmas dessert. Now that is a really fun cheesecake. I would love to try that and its is so festive perfect for the season. I love this idea – you know it will make nice pictures in addition to being totally delish! I love the idea of sour cream topping with candy a nice contrast! This looks so yummy and would be perfect for any holiday gathering. Oh wow! This look so fun and tasty! I love how colorful it is too. The FESTIVE CHRISTMAS CANDY CHEESECAKE RECIPE looks so fun to make and delicious! I want to make it and have for the Holidays. We love Cheesecake! This will become a new family favorite I am sure. I love the festive colors together. I would love to make this for Christmas. I am not crazy about cheesecake, but I am supposed to bring dessert to our work Christmas party and I think everyone would love this. I will just focus on the candy while they eat the cake. Cheesecake is my very favorite and this is just beautiful and so festive for the holidays thanks for sharing. This looks perfect for the holiday season!! I love the addition of the candies on top! This is a festive cheesecake. I love the addition of peppermints. The sourcream topping sounds great too. Such a pretty display. I always wonder what I could do when we have so much holiday candy left around.